Welcome in to episode 105! Take a pew, grab a WIP and grab a drink! 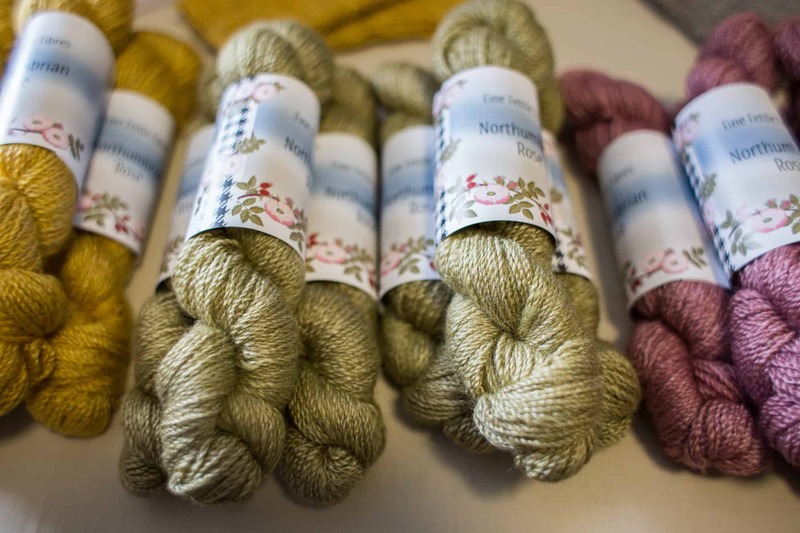 Hear all about the new Northumbrian Rose Yarn from Judith Goodfellow, of Fine Fettle Fibres. Judith has worked with Lindsay Roberts, The Border Tart; designer Stella Ackroyd and the Border Mill to create a yarn that is 40% Rose fibre, 25% BFL and 35% Alpaca. 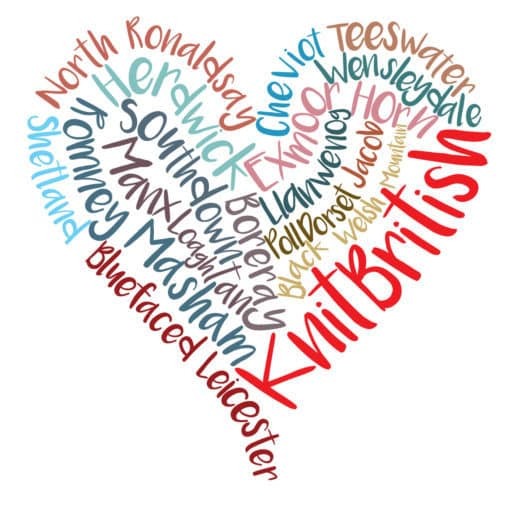 The yarn launched on 28th April at Fine Fettle Fibres Studio, in Felton and I was asked along to give a talk and also interview Judith, Stella Lindsay, and also Fransje who provided the BFL for the yarn. You will have to excuse the slight buzz in the recording (Someone’s phone must have been close to the mic), I’ve edited around it and lessened it where I can. 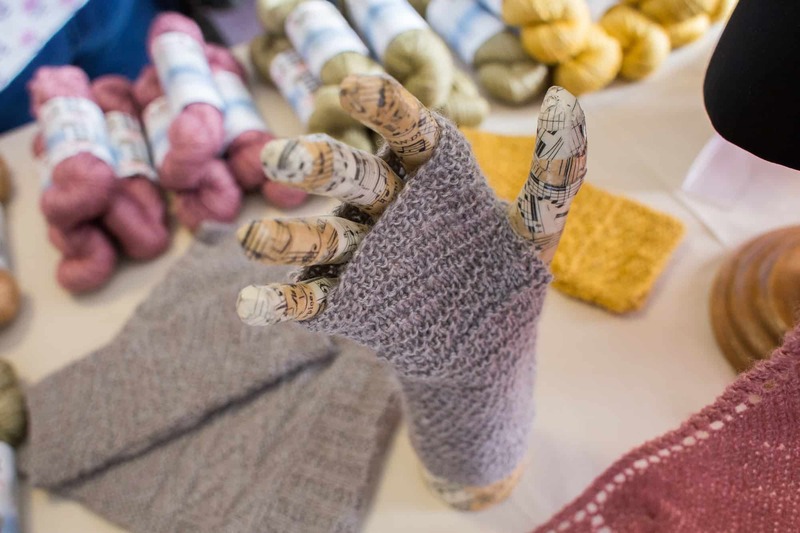 Hear all about this lovely yarn and the great friendship and collaborative effort in creating it. Hurrah for these great women! Information: Dyed in 8 shades, by The Border Tart, with accompanying designs by Stella Ackroyd and Judith Goodfellow, available on Raverly or at Fine Fettle Fibres. Giveaway: Head over to ravelry to win one of two skeins of this great yarn, courtesy of Judith. Thank you, Judith! Romney cast off is 6th of June. Dorset Horn, Poll Dorset, Dorset Down cast off is 13th July. Southdown cast off is 13th August. 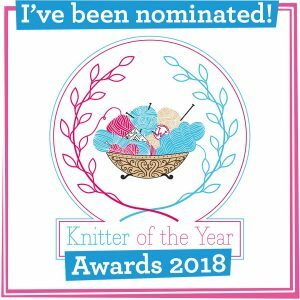 The wonderful Tania, host of the great TJ Frog Podcast, and purveyor of Dorset Buttons and now Dorset yarns, has a giveaway for us! 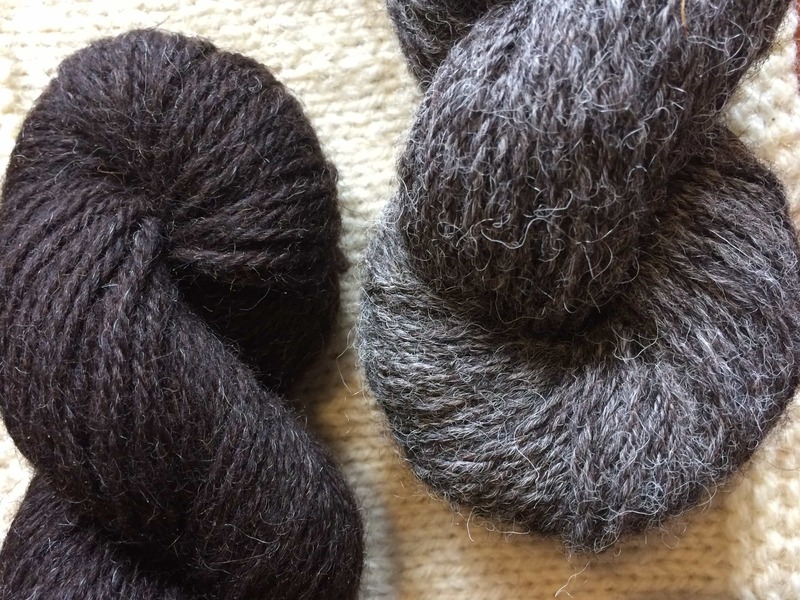 Tania, who is originally from Dorset, but lives in Skye, has added two new yarns to her shop and they are Dorset Horn and Dorset Down. 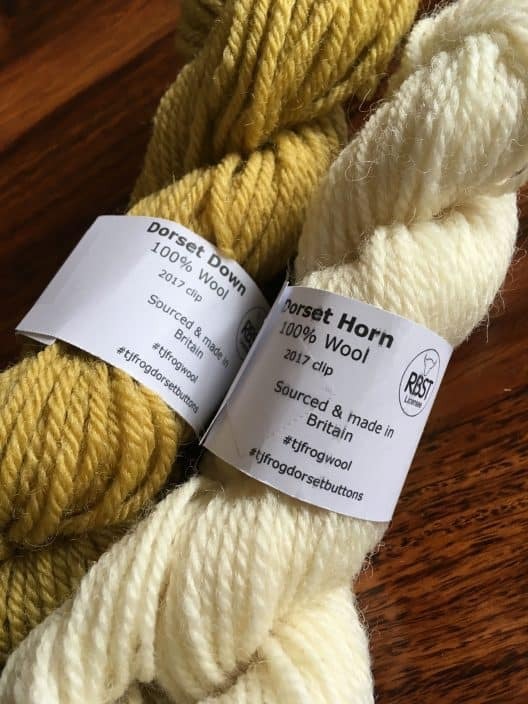 The Dorset Horn range is called Shell and is available dyed and undyed and in 100g skeins, 50g cakes or highly-swatchable 20g minis! You can find the Dorset Horn range here – prices start at £3.80 for the minis. Dorset Down wool in the range is called Chalk and is an aran weight and available in the same mini, cake and skeins. The dyed colours are different to the Shell/Dorset Horn – all of the colours are inspired by flowers and grasses on her croft in Skye. These breeds are on the RBST watch list and I take my hat off to Tania for supporting local, native, rare breed wool. I do urge you to listen to Tania’s audio podcast, if you haven’t already. She is such a great presenter and she has such a warm laugh too. Pop over to the raverly group to find out how you can win a mini skein for Wool Exploration! Thank you, Tania. Thank for listening the podcast will be back next month. I can’t let this episode go without saying how sad I was to hear of the passing of Lizzie Simmons, from Shetland. Some of you may have heard her in Episode 30 – Jamiesons of Shetland episode. She was always someone who had a smile and time for a chat and a laugh. She was passionate about Shetland wool, textiles, history and passing all of that on. We had lots of chats (and sometimes rants) about the value and meaning in Shetland knitting and its history. Music: Carefree by Kevin McLeod and Singin’ in The Rain (demo) by David Mumford – Both are on FreeMusicArchive and are both shared under Creative Commons Attribution license. Images are copyright to those attributed in the caption or in the accompanying information, otherwise they are mine. Thank you to Tania for the 2 Dorset minis to giveaway and thank you to Judith for the two skeins of northumbrian rose. The use of Romeo and Juliet / Our Tune is totally cheeky – apologies and thanks to Franco Zeferelli, Nino Rota and Simon Bates. Another excellent episode, Louise. I particularly liked that you mused on every week being a mental health awareness week and the quote you read out! I was also delighted that you spoke so eloquently about how the local, innovative collaborations are happening in the indie space, not amongst the large commercial companies. 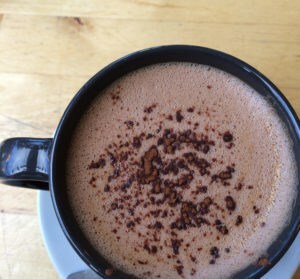 In the sustainability sphere, I often come up against people advocating social enterprises and while they play an important role what we really need more of is businesses run with people in mind: in a way that use local resources, creates short supply chains, supports livelihoods… And I keep pointing to what we see happening in the indie wool sphere to illustrate this.